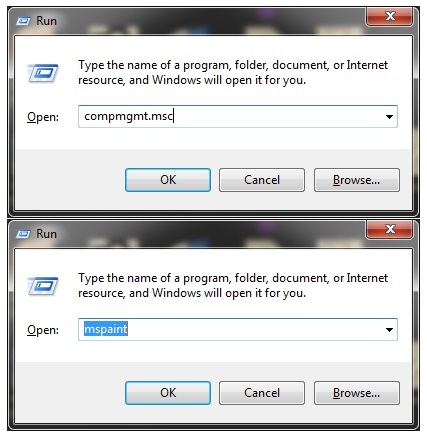 The easiest way to open the RUN window. 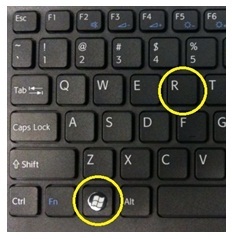 Just hold the Windows® key pressed while pressing the “R” key. From now on if you see troughout this book RUN “compmgmt.msc”, it means that you have to open the RUN command and type in “compmgmt.msc” and press Enter. 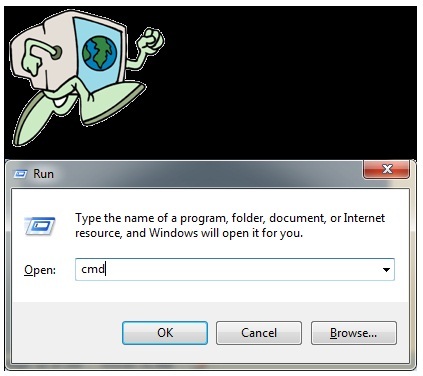 In the windows above is an example how to run the Computer Management Dialog Window, and the Windows Paint Program. 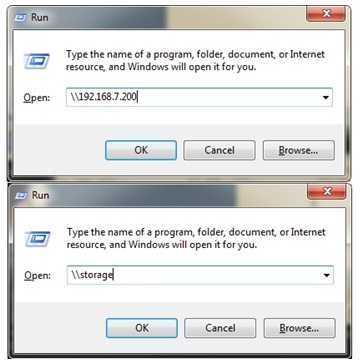 So the RUN Dialog Box can open applications, folders or paths, and network paths. Below is an example of a network path that is pointing at another computer by IP address, and then by its computer name.